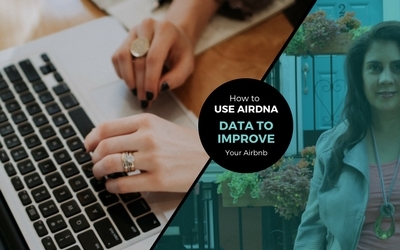 Learn How to use Airdna data to Improve your Airbnb from expert analyst Scott Shatford, CEO/Founder of AirDNA. Scott will help us understand how to use data analysis to promote our current listings and how it can assist us to select the best cities to invest in. We discuss if there is an Airbnb bubble looming and how to avoid it. We also chat about MarketMinder, a new tool that assesses neighborhood rentals and top investment markets. Plus, how proper data can help us avoid common vacation rental pitfalls and mistakes. Let data be our friend dear hosts.